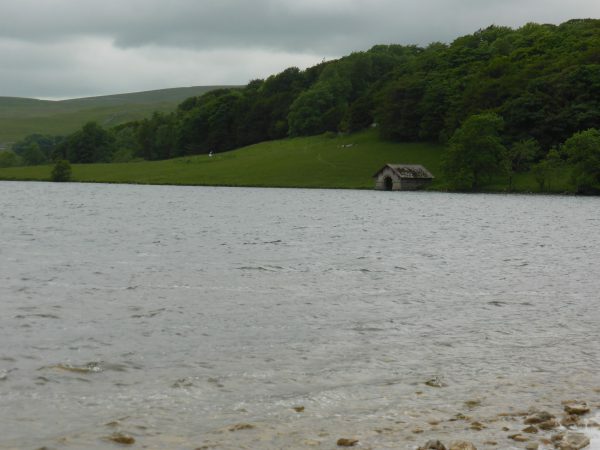 It is very odd, that although Malham Tarn is only a few miles from Settle we have never been there. I may have visited the Tarn as a child but I do not have any recollection and I definitely have not been there in the last thirty-five years. 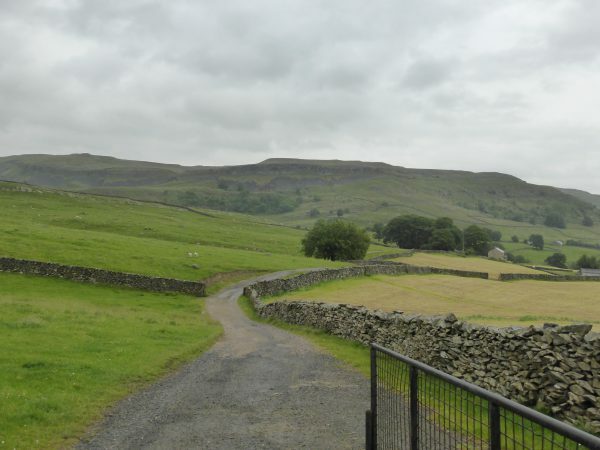 I start to plan a walk there from Settle, but Lynnie points out that the weather looks a bit dodgy so we agree to drive up and walk around. Parking in the main car park to the south of the Tarn we eat our lunch before heading off, so sit in the comfort of the car and enjoy the view. As we munch a lone walker plods past us, she has a very heavy rucksack and every step looks to be an effort, she is on the Pennine Way path and we speculate on how far she has come today and where she will be stopping tonight. 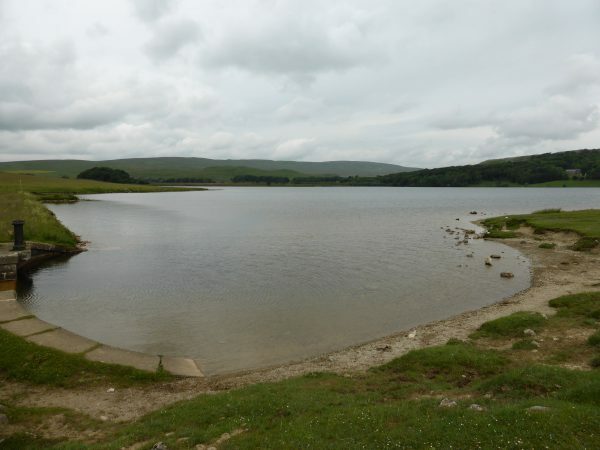 From the car park we take the route of the Pennine Way towards Malham Tarn and are soon at the waters edge getting a view of the highest lake in England at 1237 feet above sea level. The surface area of the lake is approximately 150 acres. The path takes us below Great Close Scar and we catch a good view of a Boathouse across the lake before entering woodland. On a fallen tree truck sits the walker who passed us whilst we were having lunch. 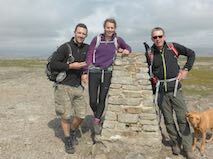 I enquire how far she has come today, her starting point was Malham a couple of miles away. 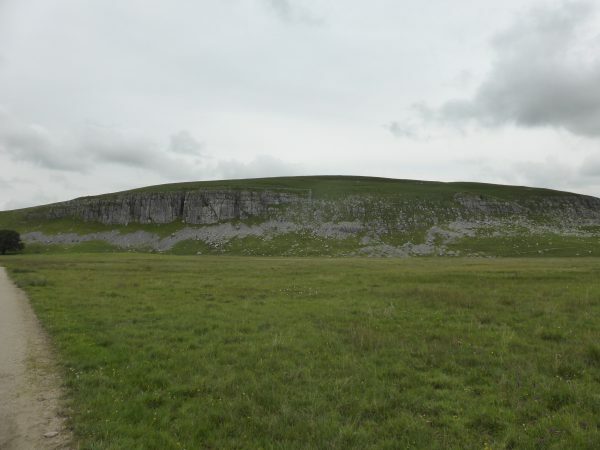 It has taken her the best part of two hours to reach this point, and she is heading over Pen-y-ghent before stopping the night in Horton-in-Ribblesdale. 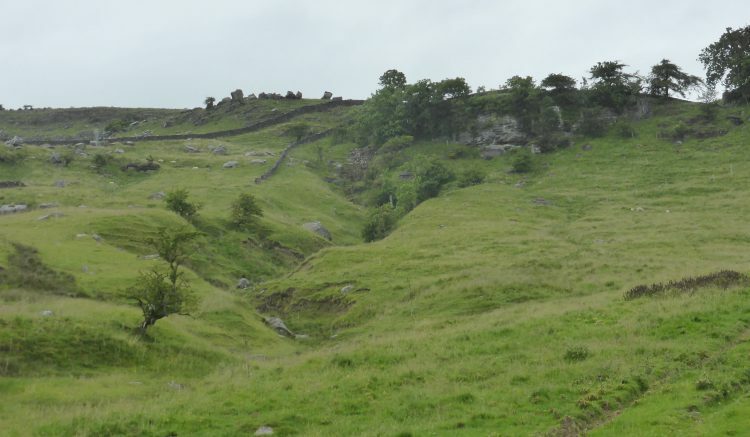 She is walking the Pennine Way and has come all the way from Edale, so does not need our advice, but I do worry that she will find this next section a bit of a challenge and hope the weather holds for her. We part wishing our walker good luck for the rest of her journey. 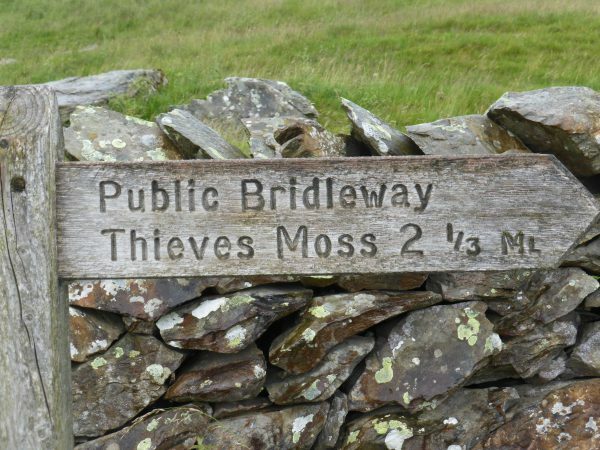 I am slightly envious because walking the Pennine Way has been on my list of things to do for years. If I was to tackle it, which with each passing year looks increasingly unlikely, I will aim to travel with the lightest possible rucksack. The path takes us around the back of Malham Tarn House, now a field study centre, leased by the National Trust who own Malham Tarn Estate. It is said that the author Charles Kingsley was inspired to write “The Water Babies, A Fairy Tale for a Land Baby” whilst visiting the then owner, Walter Morrison, in 1858. We follow the Pennine Way until it takes a right turn off the track. We continue straight on and join the tarmac road at Home Farm and turn left. After about ten minutes we take a left fork and continue on the road past High Trenhouse. At the crossroads we turn left again towards Low Trenhouse. 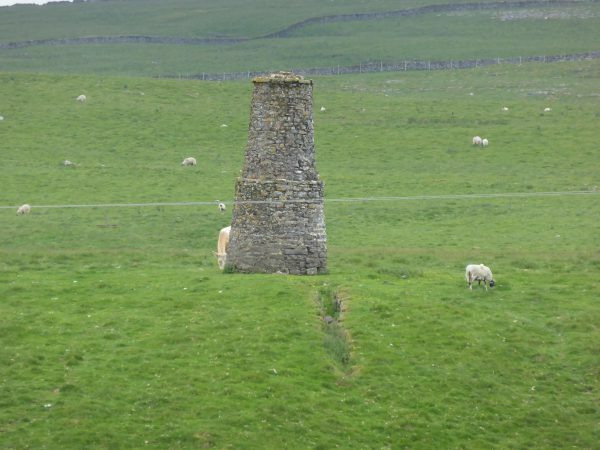 There is a fine chimney standing in the field, its purpose is not obvious from our position a couple of hundred yards away. I assume it is a limekiln, but can’t be certain. 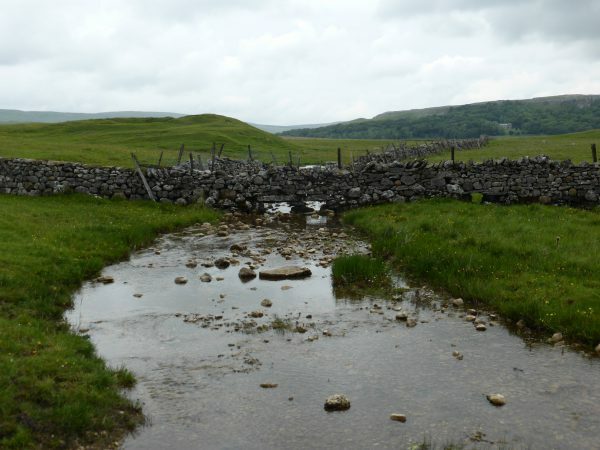 After Low Trenhouse we cross the outflow from the Tarn as it winds its way towards Malham Cove, this is a source of the River Aire, a substantial river by the time it reaches Leeds and further south in Yorkshire. We are back at the car and the rain that was forecast has not materialised. We have walked just under four miles, as it will be a few months before we are back in the Dales I suggest we make for Clapham for another jaunt. We are soon at Clapham and parked in the Dales National Park car park. We head up the lane towards the church and through the tunnels to follow the track along Thwaite Lane, to our left is the impressive Robin Proctor’s Scar. After walking along the track for just over a mile we take a left turn to follow a tarmac lane (Crummack Lane) passing the wonderfully named Dear Bought Plantation. We keep straight ahead on this track all the way to Crummack, after passing the farm buildings and going through a gate we encounter a group of mountain bikers. One of whom has taken a nasty tumble on the damp grass as he came downhill and is a bit shaken up. We check that all is okay and no assistance is required and then follow the path as it bends to the left and climbs upwards. We are chatting away whilst following a well-worn route and are soon surrounded by cairns. I consult the map and realise that the well-defined route was not the path we wanted so we turn back towards the cairn close to Long Scar. We are now on the track that I walked a couple of days ago and we turn left towards Long Lane. On reaching the gate we take a left to head down through the Ingleborough Estate. Lynnie much prefers this route, she is not a fan of the walk along Long Lane and definitely does not like descending through the slippery tunnels back into Clapham. Walking through Ingleborough Estate Nature Trail is becoming a regular feature, however we do not tire of the beauty of this spot. 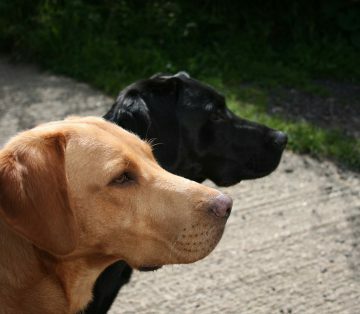 We are soon back in Clapham, having walked another seven, enjoyable miles. Heading back to Settle the rain starts to fall. 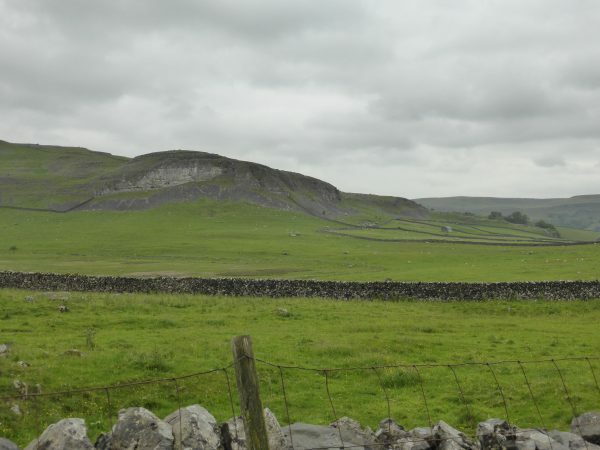 We both hope that “our” lone, Pennine Way walker is safely over Pen-y-ghent and supping a pint in Horton-in-Ribblesdale. This being our final night in Settle we head to The Talbot for one of their excellent pies and a couple of pints of top quality ale. Happy days!